Red Hot Services specializes in pressure washing services. Florida homeowners depend on us to remove mold and grime from their brick paver or concrete surface areas. No matter how big your driveway or pool deck is Red Hot Services will be able to keep it clean year round for you. Our pressure washing technology is state of the art. We remove mold and grime from concrete surface by apply commercial detergents and allowing the solution to dwell before we start pressure washing. After the solution has had sufficient dwell time our technicians use 3500 psi surface cleaners with hot water pressure washing technology to remove any dirt. Our surface cleaners leave your driveway looking clean and vibrant without any streak marks that you would get with normal pressure washing. 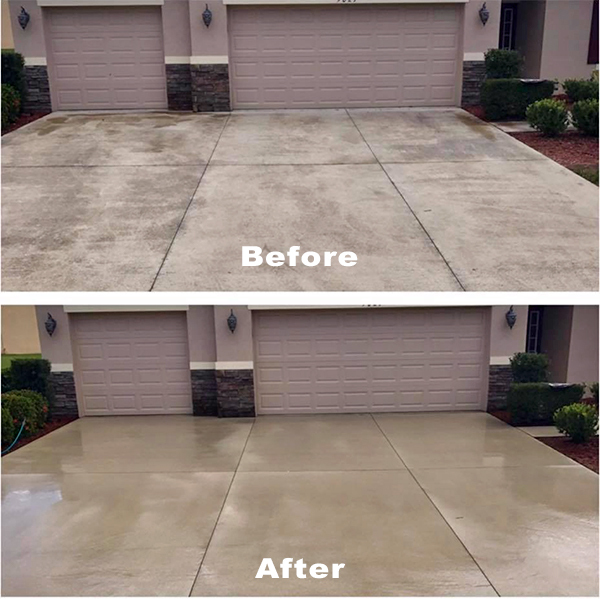 When the process is complete we apply another coat of our custom driveway cleaning solution to ensure a clean finish. Call us today for all of your pressure washing needs. Red Hot Services has state of the art pressure washing equipment to make sure we can clean anything that comes our way. When we clean driveways we use a tool called a surface cleaner. Our surface cleaner puts out 8 gallons a minute of hot water at 3500 psi. This allows us walk at a steady speed and deep clean any brick pavers or concrete without leaving streaks. Our driveway cleaning service is top notch. Call us today for a free no obligation estimate. If you are interested in having your driveway look clean throughout the year Red Hot Services offer our driveway cleaning maintenance plan. Schedule a time once or twice a year for our technicians to come out and clean your driveway and our staff will do the rest. Never worry about hiring a pressure washing company again. We also offer maintenance plans for roof cleaning, pool cage cleaning, house washing, brick paver sealing. Call one of our professionals today to learn how you can customize your very own maintenance plan today! Schedule your free in-home estimate today. 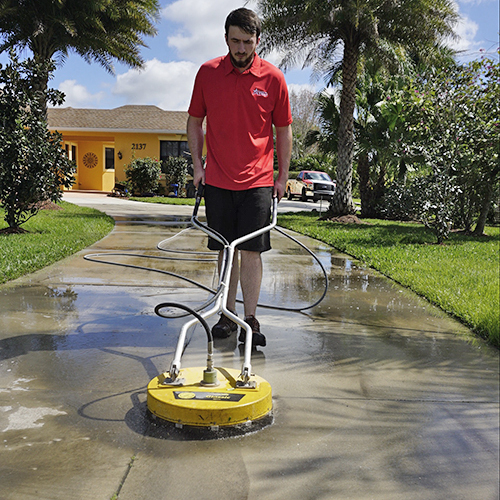 Founded in 2017 and built on over a decade of professional service experience, Red Hot Services provides exterior pressure cleaning services to Florida homeowners using safe and effective methods. We provide roof cleaning and paver sealing services to residents in Lakewood Ranch, Bradenton, Sarasota, Venice, and more.